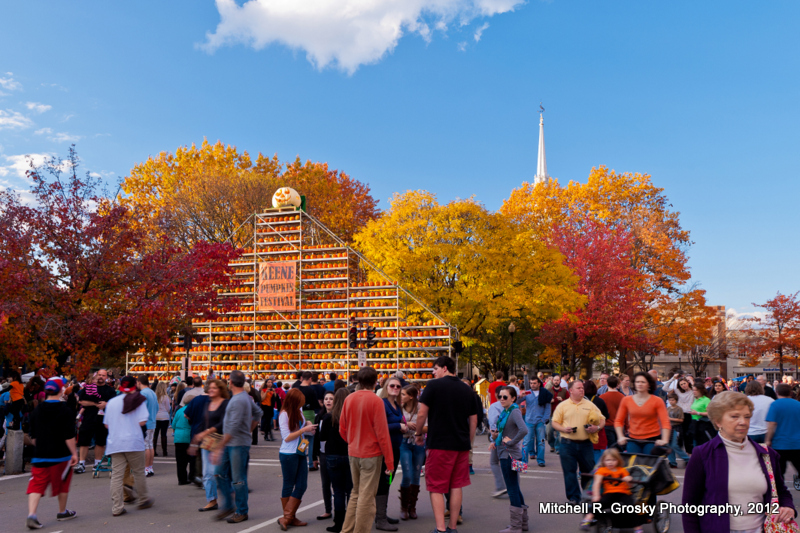 On October 20, 2012 I visited Keene’s Pumpkin Festival in Southern New Hampshire for the first time. 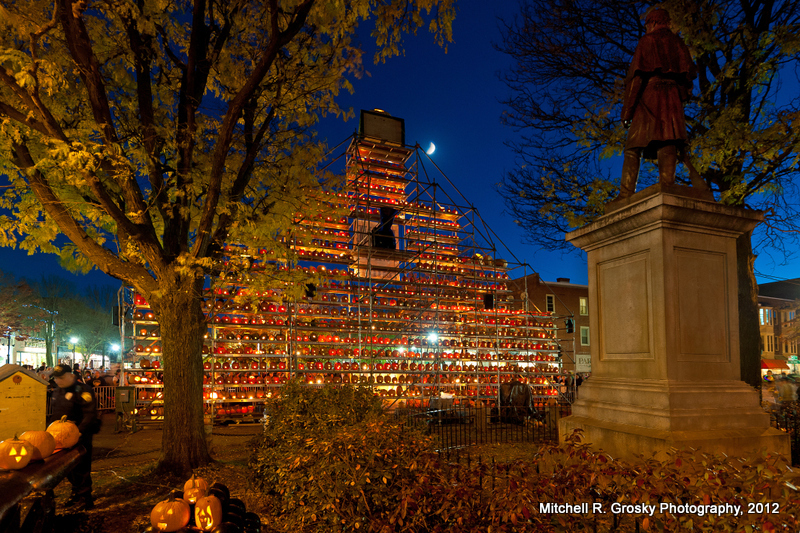 I got there at about 2:00 p.m. so that I could take some daylight photos, and I stayed until about 8:00 p.m. so I could also take some night photos. 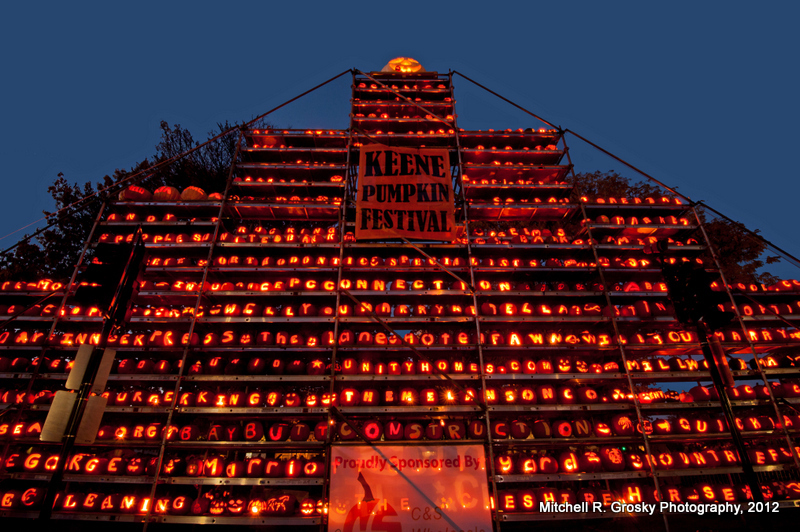 The Highlight of the Event was the large tower or pyramid stacked to the skies with hundreds and hundreds of pumpkins! 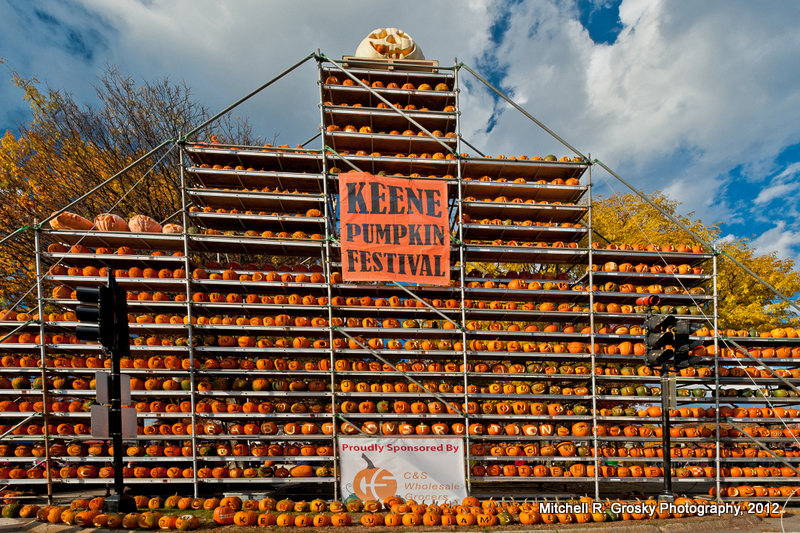 The Pumpkin Festival in Keene is about 20 years old, and is a favorite activity once a year throughout New England. 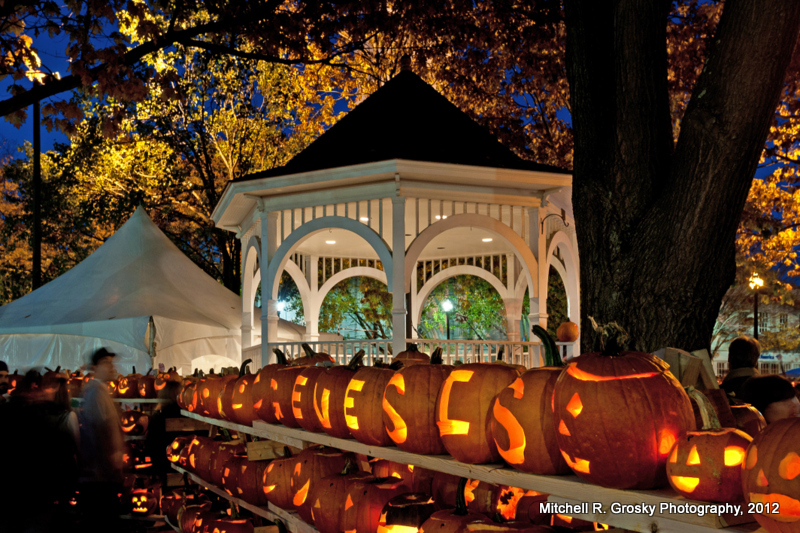 The crowds were friendly; the food was great; and the atmosphere was perfect as Halloween approached. I hope to go again next year!